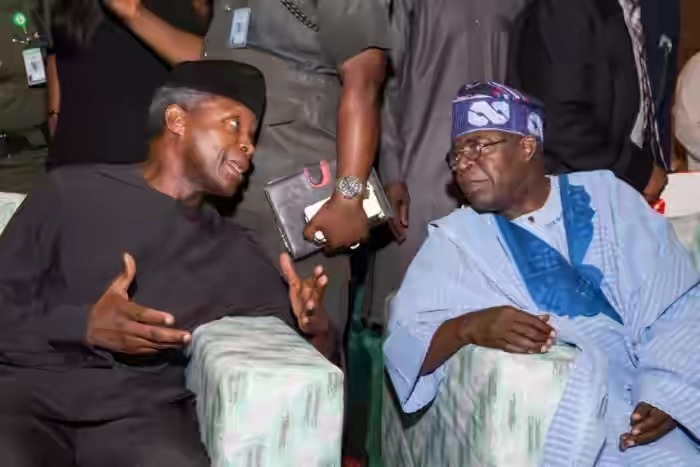 Tanko Yakasai, elder statesman and political adviser in the second Republic, has claimed the ruling All Progressives Congress (APC) might field Vice-President Yemi Osinbajo or a National Leader of the party, Asiwaju Bola Tinubu, in 2023. Speaking with The Interview, Yakasai said it was because the region played a key role in the emergence of Buhari in 2019. He also said the South-East don’t stand a chance of getting the ticket. “The current calculation is that the vice-president is from the Southwest. Clearly, there is an unwritten understanding that when Buhari finishes, the Vice President will likely be the next presidential candidate of the APC. “The Vice President is a Yoruba man. Even if it is not Osinbajo, somebody from there, probably Tinubu, will likely emerge as the candidate of the party. “And with the performance of the party in the southeast, I don’t see any possibility that the party will think of giving its candidacy to the southeast as against the support it earned from the southwest. “Apart from voting, don’t forget that there were some material support which APC enjoyed from the Southwest,” Yakasai said. I am for Osibajo. Always have been. Tinubu keee...such mistake should be avoided. He is a thief, he embezzle Lagos State to a zero level before he left office. Even now nko? ?? Finished Lagos? Which country are you from? Do you know the history of Lagos when Tinubu was the governor? What happened between him and Obasanjo? People just say things for comment sake. Please learn before you comment on issues. No be to fly at night be this. Anon 11.46, do you know that the present tvc building was formerly Lagos state polytechnic. He turned juicy spots for his personal business. I am a lagosian and I still don't know what he has done in Lagos state. Both tinubu and osibade should not eye that position. Which one is material support?. Okay we dey wait, Tinubu for president come 2023 abi?. The wife will be Senate President, while the In-law go be Speaker of the House of Reps.
Hahahaha... My hands are too heavy to type. Let me also join you in observation mood. *Cheers to our zobo for continuous observation*. I am weak, my phone just fell, abeg i am a foreign observer, make una borrow me small zobo. The difference between mode and mood eludes this one. These people should free Nigeria ooo! Who did we offend biko? Why do they feel ruling this country is their birthrights? God forbids that Tinubu will rule this nation! Who in their right minds will even vote him into power? Kai! I'm tired. Am from the east but i tell you that power is going back to the north come 2023. You guys think they would fold their arms and watch power slip from them. Brace up and mark my words, only then will you know that northerners and not fools, infact they are smarter than other ethnic groups. No hard feelings just stating the fact. Una no dey tire eh??? Just a thought if Atiku is in court with Buhari till his 4year is almost over and he is declared winner.You people might have to wait till for 8 years.Just a thought. People will just come here and be typing rubbish. Please, before coming here to type nonsense. Get knowledge.